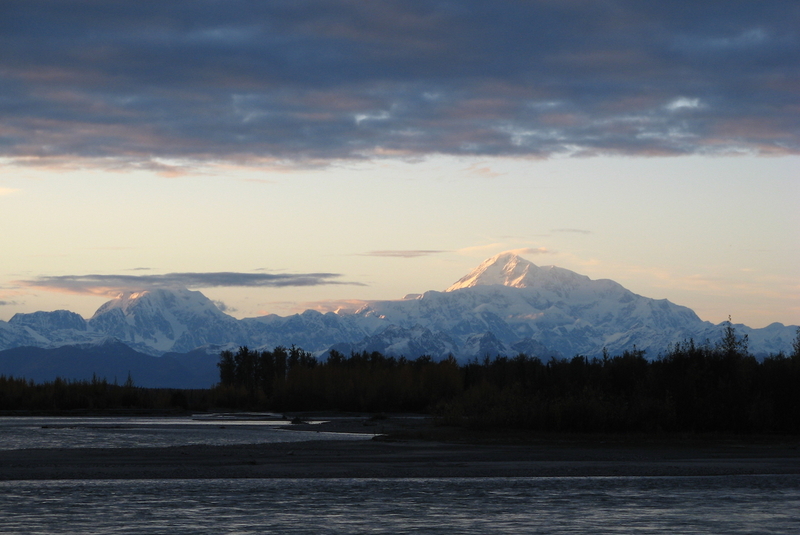 Here’s another view of Denali from the rivers in Talkeetna in mid-September. As I always add, Denali is at least 60-70 miles away in this photo. When I lived in Alaska I was told that you can only see Denali one day out of every eight, so visitors only have ~12.5% chance of seeing it. I was fortunate to live there and see it many times.